Preheat the oven to 190C/375F/Gas 5. Wipe the steaks or chops and sprinkle with salt, freshly ground black pepper and half the oregano. Tip the potatoes and onions into a roasting tin and drizzle over 3 tbsp of olive oil, the rest of the oregano, salt and pepper. Mix everything until the potatoes and onions are well coated with oil. Tuck the unpeeled garlic cloves among the potatoes. Roast the potatoes for 20 minutes until they are just starting to soften, then put the chops on top, pour in 300ml/½ pint lamb or chicken stock or water and return to the oven for 30-35 minutes, until the lamb is tender and the potatoes tinged brown. 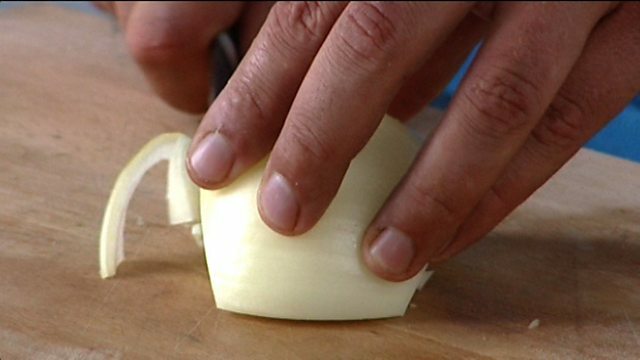 When servinng make sure everyone gets a garlic clove to squeeze out and mix with the other ingredients.